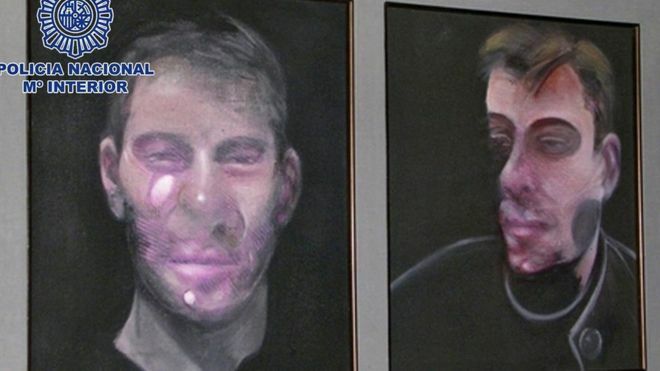 Spanish police have recovered three of five paintings by Francis Bacon that were stolen in 2015. 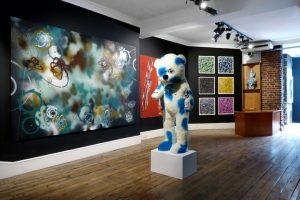 The five works by the Irish-born British artist are estimated to be worth more than £22 million. Ten people have been arrested in the investigation. 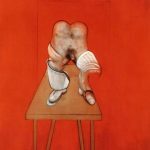 The works were stolen from the Madrid home of José Capelo and belonged to him, a friend of Bacon. 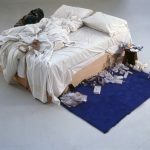 It is thought to be the biggest theft of contemporary art in Spain. Bacon died in Madrid in 1992, aged 82. A Spanish police statement said the three works were recovered after a tip-off from a London team specialising in tracking down missing art. The team had been contacted by someone in Sitges, near Barcelona, who wanted to verify one of the stolen paintings. The inquirer sent the team photos of the work by email, which revealed Bacon’s signature on the back of the painting. That suggested that the photos had been taken after the burglary. By identifying the camera used, police traced the professional photographers and arrested one of the suspected thieves. 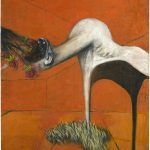 This entry was posted in NEWS and tagged Francis Bacon. Bookmark the permalink.